Organic Double Chocolate Fudge 3.3lbs. 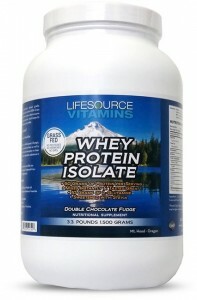 Tried our new product: Whey Protein w/ Phyto Reds & Phyto Greens– Amazing Product! 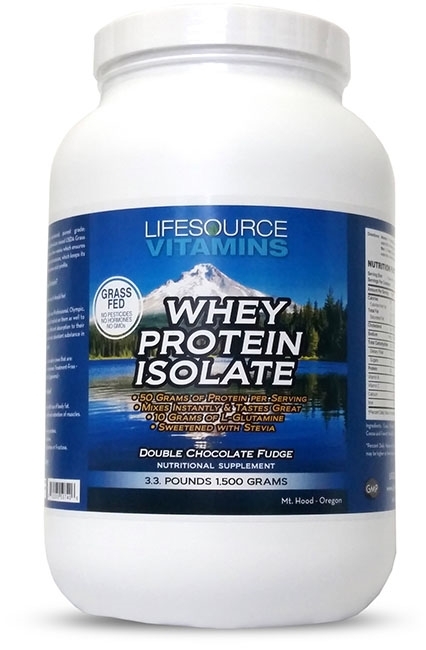 The most advanced Organic, Grass Fed, Hormone Free, Pesticide Free, GMO Free, Antibiotic Free, rBGH Free Whey Protein Isolate you can find anywhere at any price! The Whey Protein that we use is Certified Kosher! 50 Grams of our Pure Clean Proprietary Blend Protein 100% Whey Protein Isolate Per Serving (Chocolate, Vanilla & Un-flavored ). Our protein powder is effective period! Contains BCAAs, which are metabolized directly and absorbed quickly into muscle tissue. Therefore providing the desired results quicker! Guaranteed. Micro-filtration Technology used in processing our Whey Protein Isolate. Dried at Cold Temperatures, heat kills protein, so we won’t use heat like 90% of all other whey protein companies! Fat Free, Lactose Free & Carbohydrate Free. Nature’s Highest Quality Protein from Grass Fed cows that are Disease Free, Pesticide Free, Chemical Free, Hormone Treatment Free and GMO Free. Our Whey Proteins are sweetened with Stevia, not Sucralose or Fructose. In numerous studies on Sucralose & Fructose sweeteners have been found to be less than healthy and this is why we use Stevia. Sucralose has even shown weight gain as a result in taking it. Easily Digestible for any age group and exercise levels. Superior Amino Acid Profile, crucial for growth and retention of muscles. Provides Maximum Nitrogen Retention, which enhances growth of muscles. Superior Protein for Lean Muscle Growth, which helps with loss of body fat. Supports Muscle Repair and Recovery, in turn speeds up mass and building. Boosts Immune System, which keeps us healthy and active. Most whey protein comes from milk that has been pasteurized, but what does pasteurization mean and why is it important? Pasteurization (heating the milk at very high temperatures) by definition means the complete destruction of all the enzymes in the milk. Milk is declared pasteurized when you don’t find any enzymes left. So after pasteurization the milk is for all intense purposes not only essentially dead but puts a strain on your body because your pancreas needs to produce lots of digestive enzymes to digest and absorb the dead milk! Understanding how pasteurization affects the quality of the milk is incredibly important because the quality of the Whey protein powder, bars and drinks can only be as good as the milk its coming from. Dead processed milk can only produce dead processed whey protein and that’s not what you want to feed your body if you want to be healthy and excel on the sports field. So the second step in choosing a quality Whey protein product is to make sure the milk used to produce the whey protein has not been pasteurized at high temperatures! You wonder why so many Whey Protein’s on the market are cheap, it is simply because they are processed cheaply and simply don’t work!